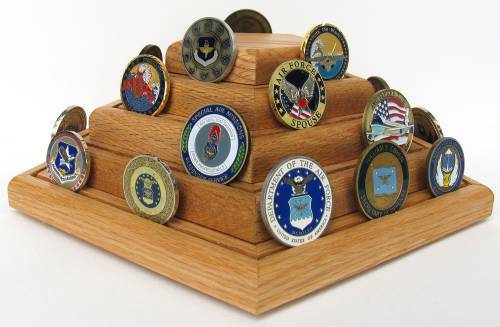 Solid wood coin pyramid display for displaying your challenge coins. 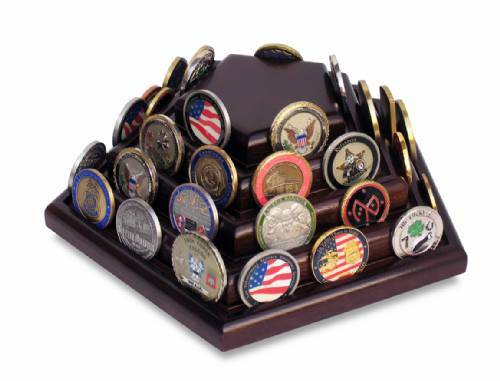 This coin holder is available in both Solid Oak or Walnut and is finished with a high-gloss varnish that treats and protects the wood, ensuring a lasting luster. 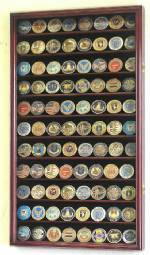 Hand crafted for extra structural integrity, strength and durability. 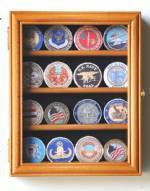 Dimensions: Dimensions: 12" l x 12" w x 4 1/4" h and will hold up to 60 coins and challenge coins. Please choose wood choice below.